Want a flawless finish with zero dry time? Want designs or intricacies, or a manicure that lasts for two weeks or more? Then you are likely a fan of a gel manicure. Here’s how to make the most of gel, for beautiful and lasting nails. Whether you are new to the world of a manicure with gel, or you just want to learn more about it, here is a little Gel 101. Today’s gel nail polishes are a cousin to the gel nails that started in the 1980’s, as an alternative to acrylic nails. The harder gel polymers were used to create nail extensions, with a smoother finish and gentler removal than traditional acrylic nails. A hybrid technology emerged: mixing the hard gel extension polymers with the same polish base of traditional nail polish, creating a gel too soft to be a nail extension, but hard enough to last for weeks as a polish. Gel nail polish hardens with UV light. When applied correctly, it soaks off easily with acetone, wrapped in an aluminum foil and cotton to secure the soak. A wide variety of finishes, including a much glossier finish than available in standard polish. A complete dry, where you can immediately use your hands for anything after the completion of your gel manicure. A finish that lasts for two weeks or longer, even for highly active individuals. A low-odor process with no lingering “nail polish” smell. 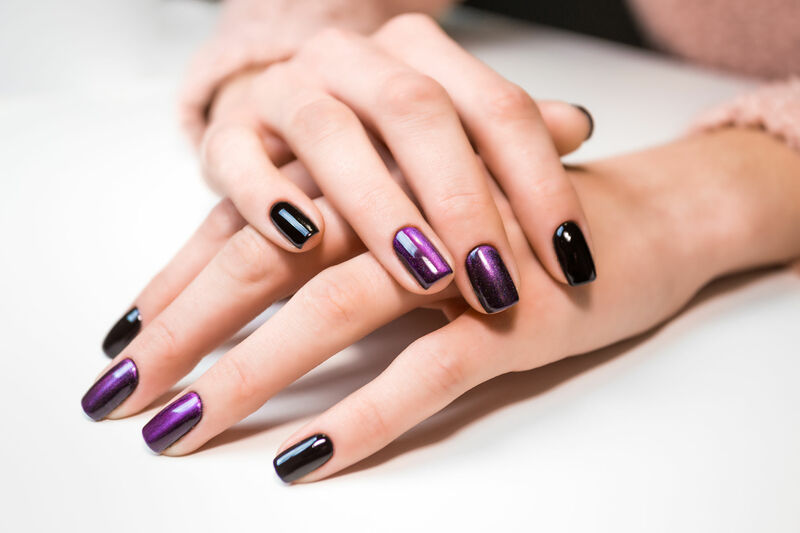 Make the most of your manicure with gel, and your nails, with our pro tips. Moisturize – Keep your hands and cuticles moisturized between appointments, to help new nail growth health. Remember that hydration comes from within, as well, so drinking plenty of water and eating water-soluble foods (like fresh fruits and vegetables), help skin and nails look and feel their best. Give nails a recovery period – Though the UV exposure to the LED UV light in the curing process has not demonstrated any lasting negative consequences, nails themselves do best with a little breather in between manicures. Talk to your manicurist for advice about manicure gel nails, then a couple of weeks off with natural nails, based on the health of your nails and cuticles. Continue to regularly moisturize your natural nails between manicures. Get polish professionally removed – When you pick at gel nail polish you inevitably remove some of the top layers of the nail, which has adhered to the polish. The acetone soak is truly the way to remove gel nail polish. If the gel has adhered correctly, with enough time under the UV light, it should remove easily after the acetone soak. If the polish requires excessive filing and scraping, it can damage the nail. What if I’m concerned about UV exposure? If you are concerned about the use of the UV lamp, consider applying a barrier sunblock (such as a zinc oxide formula) before your polish application step. You could also wear sunblock gloves, but cut off the tips. What if my nails seem thinner or less healthy? Take a break from nail treatment and allow your natural nails a recovery period. What about the chemicals in gel polish? Opt for formaldehyde-free formulas, without the harsher chemicals in some gel polishes. We want to help you have beautiful, lasting nail polish, but also healthy hands and nails. Talk to a manicurist today to make a plan for your personal nail health and get your best nails ever!